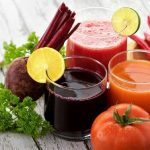 If you were looking for a blender, you might want to set aside a few minutes of your time and read this article. If you are one of those people who is looking for a cheaper and smaller blender, search no more. The Farberware Single Serve Blender may be the one you are looking for. 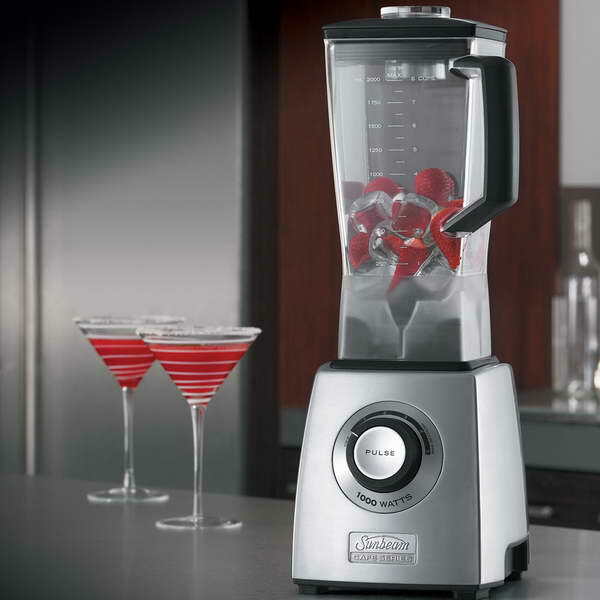 In these days, we have tons of blenders to choose from. However, not all of them are available to us. That’s mainly because they might be too expensive or too big to carry around. In addition, they take up most of your space in the kitchen leaving you unable to put all the groceries on the counter space. Also, when we are buying something, we always consider the price. Since we mentioned earlier that most of the blenders are expensive, we are sure when we say the Farberware blender is available to everyone. Furthermore, there is a variety of cheap blenders and sometimes choosing the cheap one will give you bad results. However, our experience with the Farberware Single Serve Blender has proved us wrong. Even cheap blenders can give amazing results. The brand Farberware goes back to 1900 when it was founded in New York City. It’s safe to say they are a long time in this market and sell high-quality products. It’s a brand known for selling kitchen accessories. In addition, they make their products with the customer in their mind. That being said let’s take a closer look at the Farberware Blender 17 Piece set. 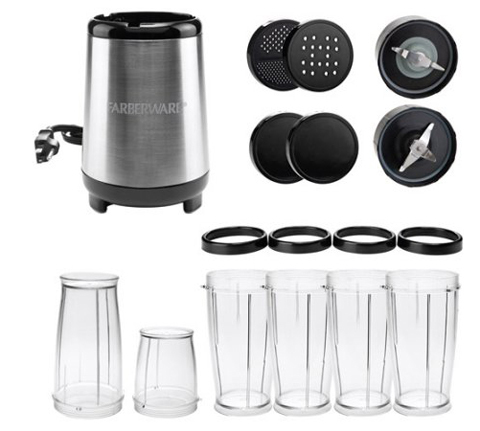 The Farberware 17 Piece Set is considered to be one of the best single server blenders around. That’s with a reason of course. Despite having an affordable price, it comes with many options. 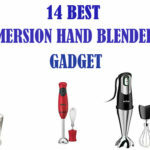 This blender is a small multi purpose machine that’s designed for completing different tasks. 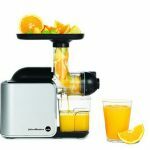 Moreover, it can puree soups, slice vegetables and fruits, mix, blend, and many other functions. It comes with a stainless steel base which makes it a durable and strong unit. 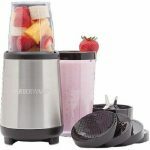 In addition, it’s designed with no-skid feet in order to keep the blender from moving and shaking during operation. That’s simply because the manufacturers want to prevent spills. Even though it’s a small blender, it comes with a motor of 240 watts. This kind of high power and strong blades makes it easy for the blender to crush ice. Keep in mind that the machine is turned on just by twisting the cup on the base. In addition to being easy to use, it’s a blender that’s super easy to clean. All the parts of the Farberware product can be put into the dishwasher, except for the motor base. 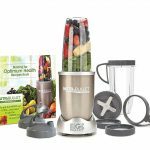 As we mentioned before, this blender is a 17 piece set so it includes a variety of blades and cups in order to get more flexibility. The 17 piece set comes with 2 blades for chopping or blending, 4 lids, 4 rings, 5 small cups and 1 small cup. All of these blades, lids, and cups can be put into the dishwasher and help you save some time. Another great thing about this blender is that the too many cups with lids make it suitable for making the beverage. Whether it’s a smoothie or any other drink, you can take the cup with you anywhere you go. This blender is super easy to use and always stays in one place. What do we mean? Well, many other blenders in this price range during operation move and spill a lot. However, that doesn’t happen with the Farberware Single Serve Blender. 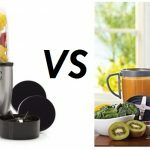 In many interviews with different people, we noticed that they are comparing the Magic Bullet blender with this one. 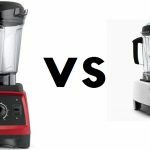 We’ve done our research and experiments and we are now going to share with you the pros and cons of both blenders and which one you should opt to buy. It’s a well-known fact that the magic bullet is a decent blender that comes in a compact size and is also easy to clean. However, the blending abilities aren’t as powerful as the Farberware single serve blender. It’s small but it is effective blender if you want to use it to blend softer food. It comes with a nice and simple design and also has an affordable price. 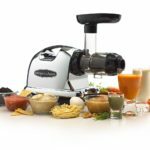 The Magic Bullet has even more powerful motor than the farberware 17 pieces set blender. It comes with a motor of 250 watts. During our experiments, the Magic Bullet was able to crush ice, make almond butter and blend fruit. However, it had a hard time performing all of these operations. Even though the blender was able to crush the ice, big pieces were left on the top of the cup. We had to stop the blender and push the ice down in order to get crushed. Moreover, making a fruit smoothie was easier; however, still big pieces were left at the top. This blender is easy to use, clean and always stays in one place during operation. It’s a small, effective blender that weighs only 7 pounds. Since it is only 240 watts you will be able to save on the electricity bills. The 17 piece set is far more effective than the magic bullet in our experience. Even though it comes with 10 watts less than the other blender, this one can still crush ice with no problem. Since it comes with 17 different pieces, your job is always easier. Whether you are chopping or blending, you have the proper blades in order to make the job for you and the blender easier. Moreover, you have quite a few benefits from a small single blender. For example, not much of the fruits or vegetables go to waste as it does with bigger blenders. 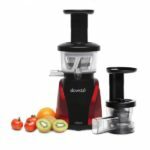 If you are one of those people who is looking for an effective and reasonably priced blender, this one is the blender you are looking for. Since it’s a cheaper blender, you may think it will break down faster than usual. However, you don’t have to worry about that with this one. Because you have 17 pieces to start with, you will always have a spare one. If we are buying or recommending a blender to someone, we would go with the Farberware blender. It has proven better in several tests and is more flexible than the Magic Bullet. Just like any other electrical machine, the Faberware blender comes with several instructions in order to prevent some injuries or damages. These basic instructions should be always kept in mind in order to prevent the risk of burns, electric shock or other damages. We are going to cover some of the most important instructions in the following lines. Always avoid contacting moving parts. Unplug the unit when not in use, before cleaning or taking off pieces. Don’t use the blender in a damp area or outdoors. Don’t try to blend warm liquids. Always run the blender with the lid in place. When used by children, always close supervision is needed. Cup must be correctly tightened and in place before turning on the blender. Don’t use the blender for other than intended use. Handle carefully because the blades are very sharp. Don’t try to defeat the interlock mechanism. Don’t run the machine if there is a damaged plug or cord. In order to prevent the risk of electrical shock, DO NOT put the blender’s power base or the cord in water. These are the most important instructions you always need to keep in mind to avoid any kind of injuries or damages. As for the blender, we are completely satisfied because it’s one of the cheaper blenders that are good. It comes with an affordable price and very powerful functions. 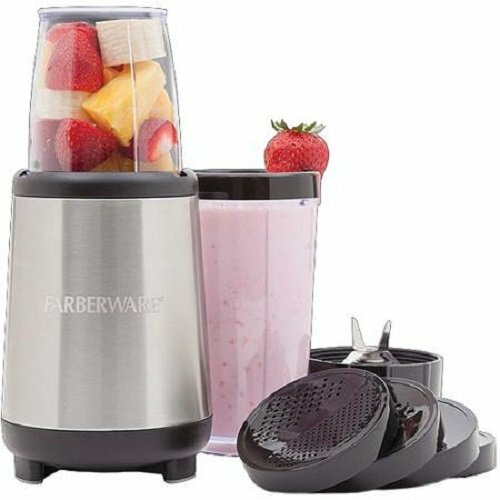 If you are looking for a blender to make delicious shakes and smoothies, the Farberware Blender is the blender you are looking for. According to many customer reviews, it’s surely one of the best single serve blenders around in this price range.